An ambiance of mysterious gravity resides in Seomun Mar-ket. At first glance it appears little more than a lonely alley, but everything essential is here. A landscape which elsewhere has faded into nostalgic mem-ory remains preserved in micro-cosm in this quiet corner of the city. Founded in 1954, Seomun Market was once one of the busiest places on Jeju, the center of commerce and daily life for those residing in the old part of town. Wizened locals still fondly recall the halcyon days when streets thronged with traders selling fresh and exotic wares, the bars and noodle shacks swarming with hungry students and the incessant clacking chorus of sewing machines that stitched wedding dresses day and night. However, the last half-century has witnessed profound economic changes and urban restructuring in Jeju. Once all within close proximity to the market, the central bus station, city hall, center of government and university, have all been relocated. As people have deserted this once thriving neighborhood, they have taken their business with them. Although still classified as one of the city’s “big three old markets,” Seomun is now all but forgotten and overshadowed by its larger and louder brothers, Dongmun and the traditional five-day market. Nonetheless, despite several near-death experiences, the market has survived, like a great tree in the Jeju countryside that stands after a huge storm. As customers and traders have blown away over time, only the most essential things have remained, the necessary ingre-dients for the four most mean-ingful rituals of Korean life, gwan-hon-sang-je (coming of age, marriage, death and hon-oring the ancestors). Today, Seomun Market is a precious treasure of great importance to Jeju’s cultural heritage. Unlike Dongmun Mar-ket, which offers an ostentatious display to gawking tourists, Seomun is not wrapped up and packaged for outsiders. It is short on souvenirs but rich in authenticity. Some stalls resem-ble little museums of the island's history, and of all Korea. 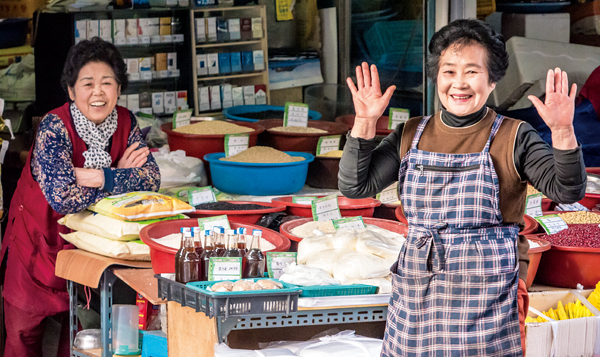 Here the essence of a real Jeju tradi-tional market is preserved in time. At the heart of Seomun Mar-ket are the merchants, who for over half a century have proudly fought to exist in the old center of the city. They have worked all of their lives, through the hard days, carrying memories of busier times, while continuing to nurture precious relation-ships with loyal customers. The story of the market is the story of these people who have aged together, and the warmth of their interconnectivity. It is also the story of 60 years of Jeju history. 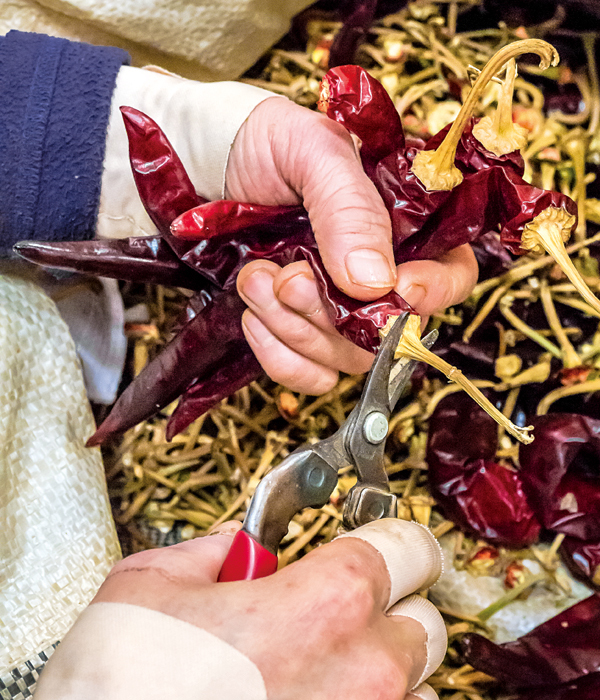 told in broad beaming smiles and written in wrinkles, tattooed on the skin of smooth hands that lovingly caress produce and well-worn tools. To read it with your own eyes, just take a stroll down the market lane. Simon J Powell is a Jeju-based freelance photographer, musician and educator from London, England. For more on his work, visit his Facebook page here or email sipowell27@gmail.com. 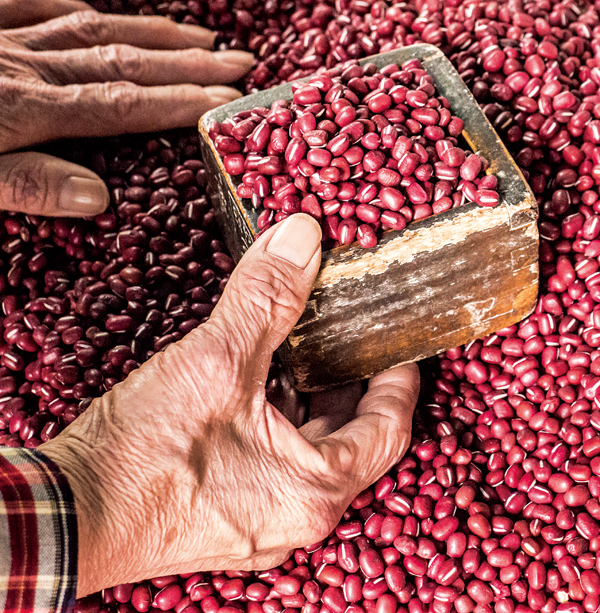 Products:Agricultural produce, fisheries, livestock products, linen and cottons, and imported goods. Location: Seomun Market is situated on Seomunno, to the west of Seomun Sageori (junction) and Gwandeokjeong Pavilion. It is opposite and slightly to the east of both Jeju Middle School and Jeju Hyanggyo.